What You Need To Know About Senior Citizen Health Insurance? Old Age is when people feel physically more challenged and economically less sound. Therefore, the need for a suitable medical insurance to handle any surprise critical medical expenses is more of a necessity than a bonus. 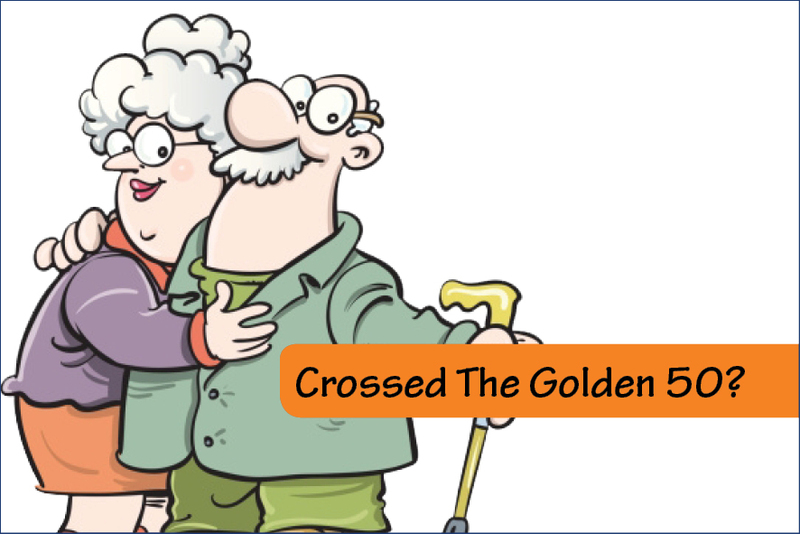 Once you cross the golden 50, your options for getting a suitable health insurance gets limited. Most insurers tend to see any client beyond this threshold, as a nugatory client and don’t bother to offer fresh health covers because of the age-related health issues that may pop in anytime. To answer this pain point, insurance companies came up with special kind of health cover to satisfy the special needs of Senior Citizens. These health insurance schemes also are known as the Senior Citizen Health Insurance readily covers a multitude of medical outlays including hospitalization, critical illness coverage, explicit coverage for diseases like Cancer, Stroke etc. Next, it is about buying the right health plan that satisfies the needs of the senior citizens. Follow these points and you will be good to go. • Consider the medical history before you opt for a health cover as insurance providers always ask about existing health ailments that the senior citizens have and are aware of. Remember that a doctor on the panel of the insurance company will conduct a series of medical tests to determine any pre-existing conditions and other routine check-ups. • Always make extensive efforts and spend time in knowing and comparing various health insurance plans that are available in the market. • You should think about taking the help of IRDAI approved insurance brokers as they know the features, benefits, limitations in detail while giving you some of the best quotes possible. Why would you want to miss out on the bargain on premiums and optimum coverage that might come your way? • Then comes filling out the proposal form. Be sure to fill in all the relevant information correctly as incorrect particulars will complicate the process and may also lead to rejection of the application. • If your proposal was declined by the insurer, try resubmitting the application with medical tests from another approved doctor. Here are a few top Senior Citizen Health Insurance products that has some of the best features and flexibilities. How to Monsoon-Proof Your Properties in India? Do you know how much a changing monsoon is changing India? A few weeks ago it was a thirsty land of burning temperature, and now there are rain spells everywhere leaving homes and commercials floating. While India is used to seeing monsoons as a blessing for all these years, the rain gods have ditched Chennai, Gujarat, Uttarakhand and many other areas of the country with fatal flooding episodes of late. It is further shocking to find India at the top in Verisk Maplecroft list of world’s riskiest place due to natural disasters. Slashed by heavy monsoon and associated disasters like landslides and floods, people are increasingly depending on insurance solutions to make their economy less exposed. Though not a common practice among homeowners in the country, the low cost of Indian flood insurance policies make it more buyable. Let’s take a closer look at the two most important domestic properties that must be chosen for insurance against flood - Homes and Cars. 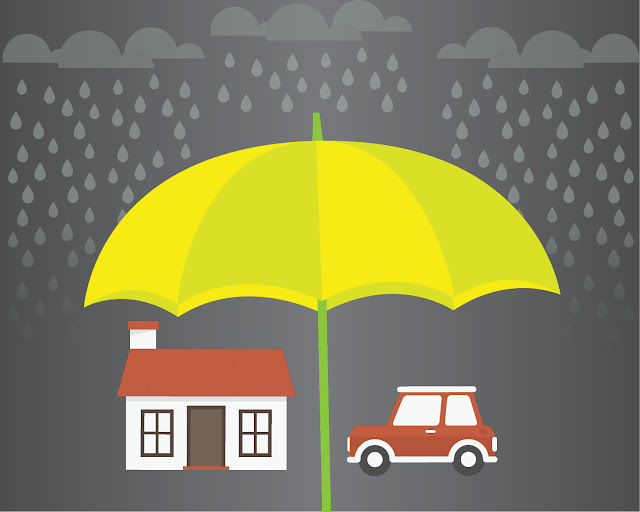 Insurance helps you protect your assets and property even in the case of natural calamities. There are several Home Insurance products from which one can buy the most suitable product. If you wish to safeguard your home and car in situations like flood and landslide, you need to buy an insurance policy with utmost care. There are several add-ons being offered by different companies, but one must know to pick the ones that benefit them the most. Engine protector add-on will cover against engine damages due to leakage of lubricating oil, damage to gear box or water ingression. The Engine Protector also covers consequential damage to the engine due to any of these reasons. Return to invoice plan can cover the lag between the insured value of your car and its invoice value. This add-on is very useful if you encounter a Total Loss when the repairs to the damages would be more expensive than replacing the vehicle. The insurance company will repay the full amount that you paid originally during the time of purchasing the vehicle. With the Zero depreciation add-on, you can enjoy a cover with no depreciation. This is applicable only for new cars and can be extended till the car turns 5 years old. Consumables like Oils, Coolant, Grease etc. are changed due to an accident are covered under this. Key Replacement can be availed if the vehicle’s keys were lost or stolen. This add-on covers the cost paid to the locksmith or towards replacing the locks. A Home Insurance product would only cover the structure of the house by default. Unless you safeguard your household items with add-ons, the items inside your dwelling are not covered by the regular Home Insurance Plans. Coverage for your building and its contents, belongings and your family members who reside permanently with you. Section II - Burglary & House Breaking offers coverage for contents of your dwelling in the event of loss or damage due to burglary, house breaking, larceny or theft. Coverage for loss or damage to your jewelry and other valuables due to accidents or misfortunes while being kept, worn or carried anywhere within India. Coverage for loss or damage to fixed plate glasses in the premises that you have insured due to accidents. Coverage for unexpected physical damage to domestic appliances in your insured dwelling because of mechanical or electrical breakdown. Coverage for loss or damage to Television Set including due to fire and allied perils, burglary, house breaking or theft, breakage due to accidental external means, mechanical or electrical breakdown. This add-on also covers any legal liability that arises out of injury or accidental death of an individual other than your family members caused by use of the television set. Covers any loss or damage to the pedal cycles in your insured dwelling due to Fire & allied perils, burglary, housebreaking, theft, accidental external means. Coverage for loss or damage of your baggage by accident or misfortune you travel within India. For any clarifications on Home Insurance Companies or suggestions on Cheap Home Insurance quotes, feel free to get in touch with our experts. The willingness to go for a comprehensive flood cover requires quick exponential progress, as Indian subcontinent may face ruthless monsoons recurrently in the future due to the greenhouse effect and associated climatic changes. If you do nothing, you might end up sloshing around smelly carpets, soaked furniture, moldy walls, damaged appliances and ruined electronics. Farmers on the other hand lament over their drowning crops even now though the government has extended $1.3bn worth crop insurance scheme for insuring crops for a meager premium. With heavy monsoon showers, many of us have to drive our cars through floods and stagnant water. Apart from shorted-out electrics and bad roads, there is a risk of the engine sucking in water which, being incompressible, will spoil connecting rods, pistons, and the crankshafts. So here is what you should do while driving through roads that are getting flooded rapidly during sudden downpours. It is not a good idea to drive through a flooded area that you would not be able to comfortably walk through as the road under the water might have been washed away. Just six inches of stagnant water is enough to reach the bottom of most cars, and it can cause the car to miss control without any tyre grip. When you try to cross a flooded section of a road, make sure to drive through the middle where the water will be at its shallowest. Never attempt to rush against an approaching vehicle as you will disturb the other driver and will not be able to judge the flood water as well. As two feet of flowing water can easily sweep away most cars, don’t attempt to cross it as the car will lose grip and can be swept away easily. Flooding at home is a nightmare for anyone, here is what you could do to stay protected apart from staying cover with a good insurance plan. Follow the local building codes so that your home is built at the right height. Usage of high-quality flood-resistant materials will avoid damages to flooring, walls, and ceilings. Have electrical components like sockets and switches above the potential flood height. Elevate utilities like washer, dryer, furnace, and water heater above the level of anticipated flooding. 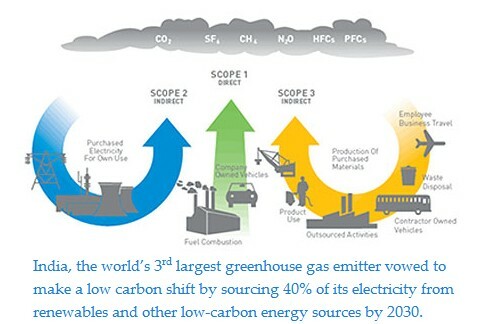 Global weather change has drastically affected the climatic conditions and its impact on the Indian subcontinent. Flooding kills thousands of people and leave millions homeless every year. Earlier this year Google India came up with flood information tool backed up by data provided by the Indian Central Water Commission (CWC). A part of Google Crisis Response Tools, this new tool can be accessed through Google Public Alerts for river water level data of more than 170 locations in the country. Again, such tools don’t prove its purpose unless it reaches the underprivileged and ignorant population who suffer the most. About 75% of annual rainfall in India comes down as monsoon showers in a few months. In spite of impressive economic growth ratio, India lags considerably behind in building resilience to such natural menace. Now, what if you followed the precautionary efforts while building your home but, you anticipate flood anytime due to heavy downpour? Follow these steps to stay safe. Move your valuables and furniture to the highest level possible and tie them up against pillars so that they remain safe and dry. Transfer hazardous materials like pesticides, and cleaning supplies to a higher location to avoid poisoning. Disconnect all electrical appliances immediately and never attempt to touch them if they are wet or while you are standing in water. If your house has basements, seal all the vents to avoid seepage of flood water through them. Look out for fire hazards like damaged gas lines, flooded electrical circuits, or submerged furnaces. Besides these precautionary measures you must have the right combination of insurance plans so that you avoid last-minute surprises and don’t end up paying out-of-pocket for repairs. Consider opting for add-ons that are most useful for flooding especially if you live where monsoon disaster is a yearly episode.